Post-operative ileus describes a deceleration or arrest in intestinal motility following surgery. It is classified as a functional bowel obstruction and is very common, particularly after abdominal surgery or pelvic orthopaedic surgery. Remember however that although innocent in the majority of patients, it can be a sign of other intra-abdominal pathology*, in particular a collection or anastomotic leak (as pus or faeces will irritate the bowel and often cause it cease functioning). Post-operative ileus has been shown to lengthen hospital stay and increased hospital costs; indeed, the overall annual expenditure in the US secondary to postoperative ileus is around $750 million to $1 billion. A post-operative ileus is simply a delay in the return of normal bowel function. As a result, the symptoms of post-operative ileus may be the same as those of a mechanical obstruction. In the patients with suspected post-operative ileus, the aim of the investigations are to rule out more serious pathologies and determine any underlying cause. 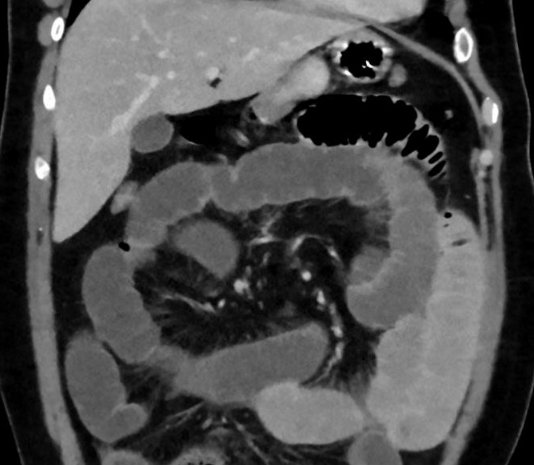 A CT scan of the abdomen and pelvis (often with oral contrast) will confirm the diagnosis (Fig. 1) and importantly also rule out any collections / anastomotic leak. As long as serious pathology (e.g. anastomotic leak) has been excluded, the management of post-operative ileus is conservative. 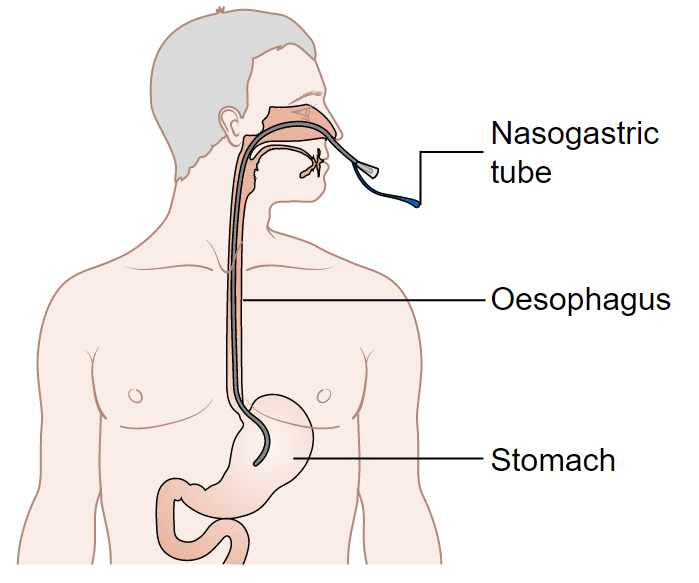 Figure 2 – A nasogastric tube should be inserted as part of management of post-operative ileus. It is important to warn patients that once it does settle, they will get very watery diarrhoea for the first 2–3 bowel movements. Cases may also warrant insertion of a nasogastric tube on free drainage (Fig. 2) and catheterising with a fluid balance chart. Which of the following is NOT a patient factor for post-operative ileus? Which type of medication increases the likelihood of post-operative ileus? Which of the following is NOT a sign of post-operative ileus? What blood test would be performed to assess if there is an electrolyte abnormality? Which of the following is NOT a prophylactic measure to reduce the chance of post-operative ileus?